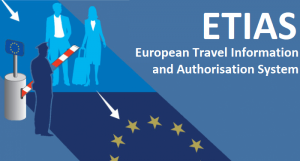 If you’re someone that does a lot of international travel, particularly travel to Europe, you’re going to want to learn more about the upcoming ETIAS process. This process will change what you need to do when you’re traveling to this part of the world. If you’re an American citizen, and you’re going to be traveling to countries in specific regions in Europe, you’re going to have to obtain electronic travel authorization before you enter the country. This is different from a visa, and the process shouldn’t take too long. If you’re applying for the required authorization, you’ll be happy to know that you can take care of everything online. You’ll be able to handle everything from the comfort of your own home, and in most cases, you’ll be able to get the approval that you need in no time. This is a little bit of extra work, but it shouldn’t be a huge hassle. While this is going to be a requirement in the future, it hasn’t gone into effect just yet. You should have until 2021 before you’ll have to obtain authorization. It’s a good idea to keep your eye on the process and everything that will be required of you. That way, you’ll be fully prepared for any trips that you make in the future. The ETIAS process is going to have an impact on international travel and how it works. Thankfully, that impact isn’t going to be a massive one. If you learn a little bit more about this process, you’ll be able to see if it will influence your future travel plans in any way. You’ll be able to make sure you can travel without a hold up.